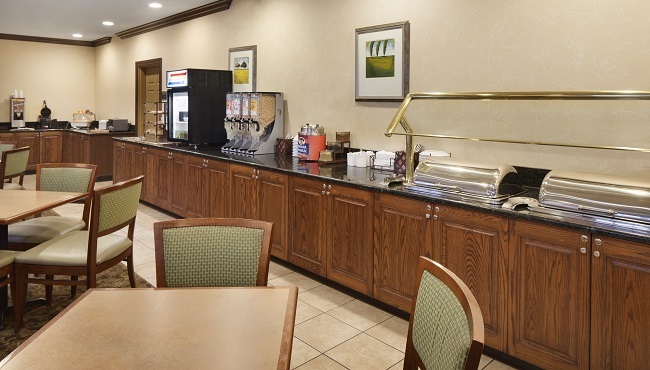 Before darting off to a business meeting or a fun-filled day at Market Place Shopping Center, start your day with a complimentary, hot breakfast at the Country Inn & Suites. We provide the essentials for a great morning meal with options like Belgian waffles, yogurt parfaits and fresh fruit. If you’re running short on time, visit the grab-and-go breakfast cart for something to eat on the road. Later, you can enjoy lunch or dinner at one of the nearby restaurants like Famous Alexander's Steakhouse or Red Lobster. Please note: Not all breakfast items listed are served every day. The hotel may substitute items on the menu based on availability and season. Don't skip breakfast just because you're in a hurry. 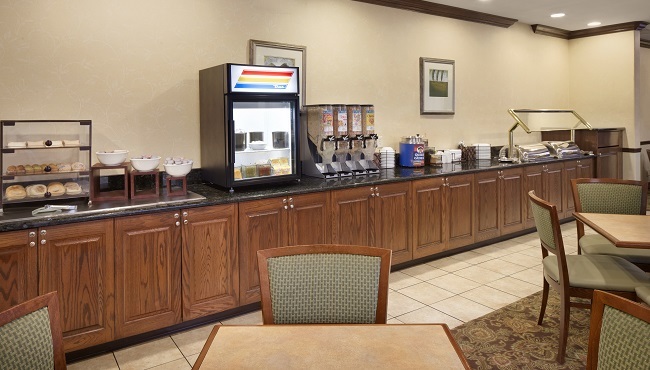 Stop by the grab-and-go breakfast cart in the lobby each morning and choose from tasty, individually wrapped breakfast items that you can enjoy on the road, such as muffins, pastries, fruit, coffee and juice. Our grab-and-go breakfast is available seven days a week.